Use TB1AB55 to reference this item. 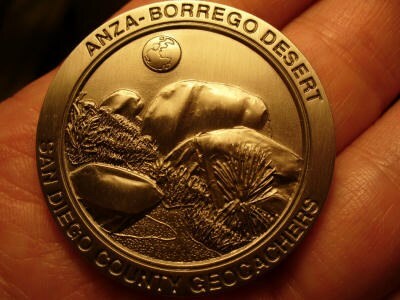 With over 650,000 acres, the Anza-Borrego Desert State Park® is the largest contiguous state park in the U.S. and is equal in size to the combined acreage of all of California's other state parks. The Park has been designated by UNESCO (United Nations Educational Scientific Cultural Organization) as a world "Desert Biosphere Reserve" of unique plants and wildlife. Die Ownerin/der Owner hat diesen Trackable als verschollen gemeldet. We have found it on our first geocaching tour, in the first cache we were so and we like it cause the sweet mountain goat on it! It is moving to Mátra. We have found it in GCD092 - Nagycenk linden tree alley.